How to create a Lesson using the Drag the Words Component? Using this component, you can create textual expressions with missing pieces of text. The end user drags the missing pieces of text to their correct places to form a complete expression. You can use this component to check if the user remembers a text he/she has read, or if he/she understands something. It helps the user think through a text. Instructions are provided at the top of the page. Incomplete expressions are given with some blank fields below. User drags and drops the boxes with the answers to the relevant empty boxes in the expressions to complete the expressions. The user clicks the Check button. If the user has replaced the all blank fields with correct answers, they will be highlighted in green. Score is shown at the bottom left side of the page. If the user has placed any wrong answer, it will be highlighted in red. Correctly placed answers will be highlighted in green. Score is shown at the bottom left side of the page. 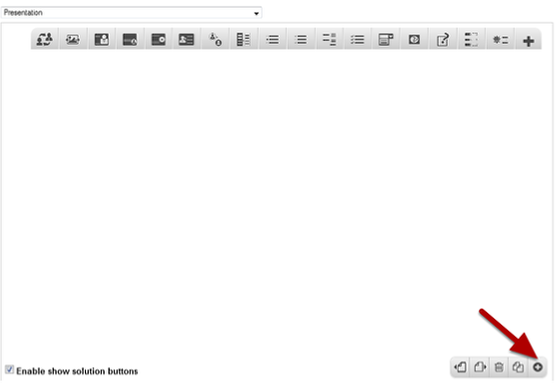 Retry and Show solutions button appear at the bottom right side of the page. If the user clicks the Show Solutions button, the correct answers are displayed next to the wrong answer's empty box in green color. The user can try answering the questions again by pressing the Retry button. You can add as many as blank fields and corresponding answers as possible. You can add a hint to each missing piece of text. You can enable Retry, Show solutions and Instant feedback options. You can also set to show feedbacks instantly once the user moves away from the replaced field. Click on the More elements  then click on the Drag and drop Text  Component icon as shown in the above image. You will see a screen similar to the image shown below. • Add a description about this task by typing it in the Task description  field. • Add the expressions in the Text field . • Enable Retry option by clicking Enable "Retry"  checkbox. • Enable Show Solutions option by clicking Enable "Show Solution" button  checkbox. • Set to give provide feedbacks instantly by clicking Instant feedback  checkbox. • Click on the Done  button to save the changes. • Remove the component by clicking the Remove  button. Type the description about the task in the Task description field as shown in the above image. In this field, you can describe how the user should solve the task. You can also change the format of the title. 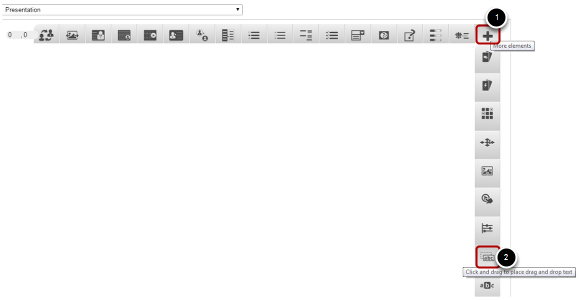 Start entering the expressions in the Text field. Droppable words are added with an asterisk (*) in front and behind the correct word/phrase. You may add a textual tip, using a colon (:) in front of the tip. Example: *London: The city with Big Ben Tower* is the capital of England. On the above statement, London is the answer, and the phrase “The city with Big Ben Tower” will appear as a hint. If you click the Enable Retry checkbox, you can give another chance to the user to start over. This option is optional, and so tick the checkbox if you need so. By default, it is enabled. If you check the Enable “Show solution” button checkbox, the user will see the Show Solution button every time he/she clicks on the Check button after selecting wrong answers. By default this checkbox will be checked. If this option is enabled, the answer will be highlighted in green or red once the user drags and drops it into any blank fields. This is optional, and by default, this checkbox will be unchecked. You can see the finished page like the one shown in the above image. You can add as many textual expressions with missing pieces of text as you like. The hints to the missing texts are optional. If you enable the “Enable Instant Feedback Checkbox”, the Check button will be disabled. 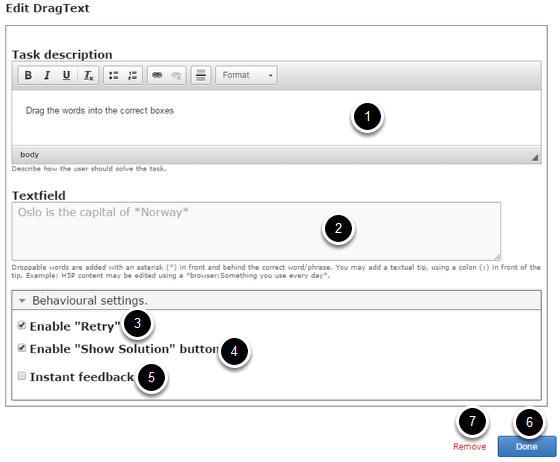 The draggable boxes with answers may appear at the right or bottom side of the expressions depending on the length of the text you enter.